Do you own Borderlands 2 on the Xbox 360? If so, congratulations. It’s a phenomenal game, and we said as much in our recent review, awarding it a whopping 9.5 out of 10. However, given that the game’s online multiplayer component is a key feature of Borderlands 2, it’s also a prime target for hackers. Hackers like the ones who have recently been sabotaging other people’s hard-earned Borderlands 2 characters via Xbox Live. According to a post on the official Gearbox forums written by community manager Chris Faylor, the company has recently discovered that an unknown number of hackers are using external software to alter Borderlands 2 during online play. 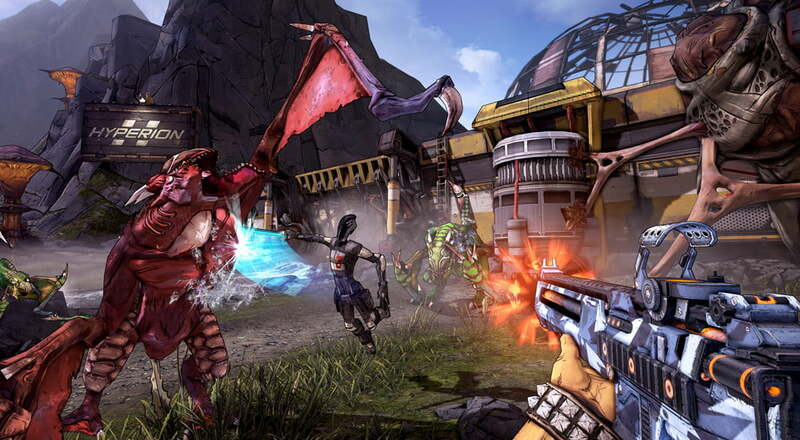 Instead of spawning rare weaponry or making themselves invincible however, these hackers are using their tools to “maliciously disrupt the experience and sabotage characters of legitimate Borderlands 2 players on Xbox 360.” In short, that means corrupted save files and hours of play time swirling down the drain. A patch to fix this issue is in the works, but in the mean time Gearbox suggests that Xbox 360 gamers only enter online games with people they know and trust. Further, Gearbox offers a few tips on how you can avoid losing your save to these hackers. We also advise that before ceasing play, users always select “Save and Quit” from within the pause menu while their character is alive. If after the death of their character players find themselves at the main menu of Borderlands 2 instead of respawning in-game, be sure to immediately select “Continue” to resume playing as that character. Likewise Gearbox also requests that anyone playing Borderlands 2 on the Xbox 360 please report any suspicious occurences that might indicate a hacker’s handiwork to the studio as soon as possible. The best way to do so would be to fire off an email to spotted@gearboxsoftware.com including as much detail and background information as you can possibly provide. Even seemingly insignificant things could help Gearbox amend this issue, so keep an eye out for glitchy items, unrealistically powerful characters and black cats that stroll across the same doorway twice. Rockstar: GTA: Vice City for iOS, Grand Theft Auto V info "next month"